Codemasters has posted a video showing us the first in-game video footage of their upcoming F1 2018 racing title. The official video game of the 2018 FIA Formula One World Championship will become available on Friday, August 24 for the PlayStation 4, Xbox One and Windows PC (DVD and Steam). 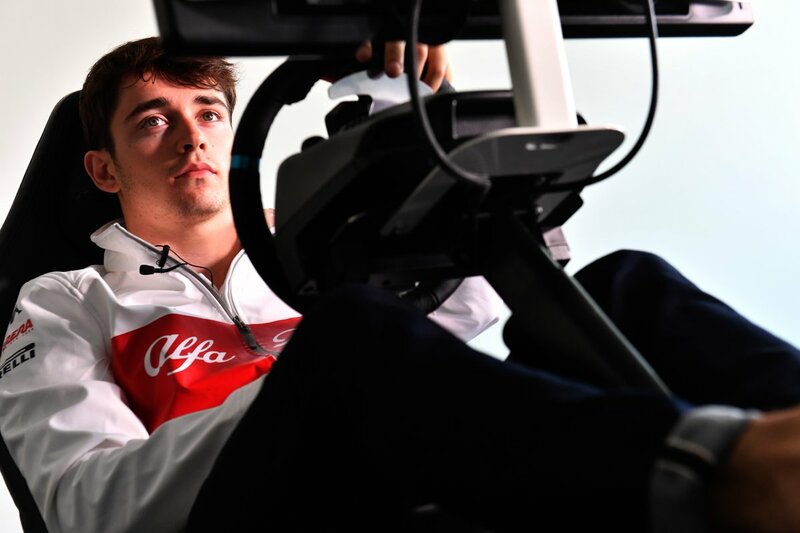 Ahead of this weekend’s F1 Grand Prix, Alfa Romeo Sauber F1 Team driver Charles Leclerc drives a lap around the virtual Circuit de Monaco. Charles Leclerc said: First of all, I was amazed at how realistic the scenery was. Being born in Monaco, I know the circuit very well. Well done for visualizing the track so nicely in the game. My favorite part is the last sector because there is a great rhythm to the drive there. Stuart Campbell, the new Art Director on F1 2018 said, One of the biggest visual uplifts for F1 2018 are our revised lighting, sky, clouds and atmospheric systems. These systems work hand-in-hand and affect all aspects of the game rendering, making it more believable than ever before. Our new cloud tech more accurately represents the real world with improved cloud formations and response to light through the various weather scenarios that are a huge part of F1. Even on a clear day, the sky looks interesting with high-level cloud detail and jet trails, while the new atmospherics system gives a true sense of depth in the scene and connects the sky and terrain in a more cohesive manner, making for some stunning vistas. Codemasters F1 2018 will include all the tracks, cars, and drivers of the 2018 FIA Formula 1 season. With the real-world return of the French and German Grands Prix, the F1 2018 game will also include the Circuit Paul Ricard and Hockenheim tracks. Furthermore, you can expect more historic Formula One cars and an extended career mode. We will keep you posted when more new enhancements are revealed.